We build software for entrepeneurs like ourselves. Our products solve problems. We focus on efficacy. We're building for the entrepreneurs who understand why this matters. We use many technologies to build out our entrepreneurs toolkit, and our solutions often end up in SaaS platforms or WordPress plugins & themes. You may or may not see our products on Product Hunt or Tech Crunch. We often build for private launches and have delivered in many joint ventures over the years. Our primary focus is on entrepreneurship. The autonomy gained by running your own ship will one day hopefully be a human right. For now, we must fight for our own dreams. Through fledgling tools like ZBS CRM, and a heavy investment in research and development, we hope to empower a generation of online entrepreneurs to do better business. The MED is the smallest effective input to produce a desired outcome. Anything beyond the MED is wasteful. Our lives are full of business interactions. By acknowleging this, we can improve. Win-win-win business is the key. 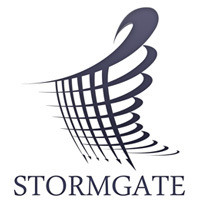 StormGate build no-nonsense software for entrepreneurs. Masters at Rapid Prototyping, SaaS and WordPress. Not for hire.